The Mother of Methodism in Mobile is Government Street United Methodist Church. Affectionately known as the bee hive, Government Street gave birth to St. Francis Street, Dauphin Way, State Street AME, Little Zion, now known as Big Zion AME Zion, and many other congregations throughout the City. It is very likely that what was known as the Hamilton Street Methodist Episcopal Church was organized when the final “swarm” left Government Street in the late 19th century. The first structure to house what was to become Wesley Chapel was constructed around 1872. It was located on Hamilton Street and was thus known as Hamilton Street Methodist Episcopal Church. Pastors in those days were referred to as Elders and the first known pastor of the Church was Elder G.W. Wynn. The Church’s first name change occurred during the pastorate of Rev. P.G. Goins. Hamilton Street became Wesley Chapel Methodist Episcopal Church. Additionally, during his watch, Rev. Goins organized the first senior choir and served as the pastor of the now defunct circuit church in Chickasaw, AL, Chickasaw Terrace Methodist Episcopal Church. Following a windstorm, the original Church, which had been built to accommodate three rows of pews, was rebuilt with an adjacent parsonage. Prior to this, the parsonage had been built on property in the rear of the sanctuary. The first pastor to reside in the adjoining parsonage was Rev. S.B. Thornton. By 1942, Wesley entered its modern era under the leadership of Rev. E.D. Ridgeway. Through his encouragement and persuasion, the Church and parsonage were remodeled within two years of his arrival. 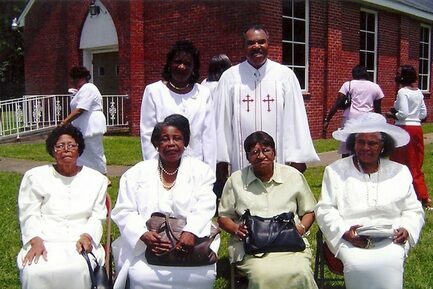 In addition, with the assistance of his wife, Mrs. Connie Ridgeway, the first Usher Board, was organized in the Church. Rev. Ridgeway would later become District Superintendent, 1959-1964. Rev. Benjamin Smith arrived in 1950. He too rose to the ranks of District Superintendent; but while serving Wesley, he was a spiritual song leader and dynamic preacher who visited his members faithfully. Moreover, he served communion to the sick and was in, general, a caring and concerned pastor for his congregation and the surrounding community. Revs. G.H. Holman (1954-57) and Spencer Smith (1961-64) had the distinction of not being married; Revs. B.T. Springer (1958-61) and James Rice (1967-72) were appointed as fairly elderly ministers; and Revs. James Allen (1957-58) and James King (1972-73) served only one-year pastorates. During the pastorate of Rev. Springer, Wesley again was renamed to Wesley Chapel Methodist and he initiated the effort to secure the property adjacent to the parsonage for church expansion. Wesley’s only pastor to have been a current seminary student. Under his leadership, the cornerstone for the Michigan Avenue location of the Church was laid. During the tenure of Rev. James R. King, Jr., Wesley Chapel relocated, in compliance with Mobile Housing Board’s urban renewal program, to our current Michigan Avenue address; and again there was a name change. 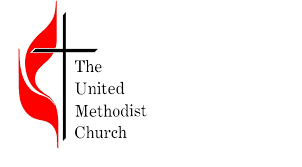 In 1972, the Church’s official name became Wesley Chapel United Methodist Church. As a young, energetic, and hard-working minister, and a product of the political and social environment of the early 1970s, Rev. King secured funds for an outreach person and a church bus. Although he left after such a short pastorate, he set the tone for Wesley’s community outreach. Rev. King later became a Bishop in the South Georgia Conference of the United Methodist Church. This same community commitment was the centerpiece of the ministry of Rev. Curry Brown. Under his pastorate, the parsonage was renovated, the church and property were purchased through the conference and some of the proceeds from the sale of the property on Hamilton Street, and a day care center for welfare constituents was established. The Church’s educational building was also used to house a food stamp office, and a youth training center sponsored by the Mobile Area Community Action Committee (MACAC). In 1981, Rev. Abe Boykins arrived at Wesley for a pastorate that would continue for 20 years. He primarily worked to revise, where necessary, administrative operation procedures of Wesley and its sister church, First United Methodist Church, Theodore as per usual conference recommendations. A second adult choir and a youth choir were organized and the Church’s membership and Sunday school grew, and a van was purchased. Uniquely, he preached at both charge churches each Sunday. By 1989, Rev. Boykins was ordained an Elder. He successfully encouraged giving to the point that the Church was often current in its payment of the conference apportionment. His departure marked Wesley becoming a station church. The first minister for the millennium was Rev. Ronald O. McCants (2001-2006). As a member of the National Guard, he served a tour of duty in Iraq early in his appointment. Rev. Herbert Horton, an assistant pastor, dutifully served in his absence. Rev. McCants was instrumental in creating a ministry plan, expanding the song ministry, modernizing church facilities, and working diligently to securing grant funds from the general United Methodist Church. Rev. Morris Bettis (2006-2008) succeeded Rev. McCants and brought his very unique preaching style. His Wesley legacy is the purchase of the property at 1201 Michigan Avenue. The Church was under the leadership of Rev. Valerie England Morrow from 2008-2013. She had the distinction of being the first female pastor to serve Wesley. Rev. Morrow diligently restored interest in bible study, encouraged Church participation in local, district and conference level programs, supported the development and growth of the Sunday School, and in general, challenged the members to grow the Church and to maintain a presence in the community. Several times during her last year with the Church, she suffered several major illnesses. As such,the members continued to attend and the Lay Leader, Bro. Albert Anderson, and visiting ministers and speakers led services. When new appointments were made during the Annual Conference (June, 2013). Rev. Michael Abrams begin serving the congregation on the first Sunday in July as Wesley and Westside UMC became a Charge under his leadership. This arrangement lasted for approximately 10 months with Rev. Abrams departing the church on Easter Sunday, 2014. With the beginning of the new conference year, July 6, 2014, Minister James E. Williams, Jr. took the helm to steer Wesley forward. Minister Williams served as Supply Pastor after joining Wesley from the congregation of Toulminville-Warren Street UMC. He pledged to improve the physical appearance of the church, grow the membership, and encourage community involvement. During the 2015 Annual Conference of the Alabama West Florida Conference of the United Methodist Church, Rev. William was licensed in the United Methodist Church and was appointed as the part-time Local Pastor at Wesley. Great things are expected under his leadership. Bible study has resumed with a good following, he has appointed a young member of the Church to begin a children’s church, he implemented a Men’s Weekend of activities—Sunday program and Saturday breakfast—that drew quite a following. Additionally, three new members joined the church and two of them were baptized via immersion in July of that year. Rev. Williams resigned, effectively, December 31, 2016, leaving the Church under the leadership of Lay Servant, Albert Anderson and visiting ministers, until the appointment of Minister Erroll King, in June of 2017. Unfortunately, Minister King, resigned as of January 31, 2018. His departure, after only six months, again meant that Bro. Albert Anderson stepped forward to lead the Church. And although today, the active adult membership has fallen to about 25 members, our vision for the future is bright. Officially appointed during the 2018 Annual Conference, Minister Deryl Pendleton, became the new leader of Wesley Chapel. His first day in the pulpit was July 8, 2018.